‘Street food’ (the English term used commonly today has also contributed to its acceptance) has become fashionable and one of many gastronomic trends, that for a decade now, has poured into areas outside of the culinary spree - investing culture, communication, economy and politics. At the opposite end of the universe of ‘starred’ chefs and the inaccessible prices of degustation menus, street food is characterised instead by accessibility of consumption and price, ease of preparation, ease of use: forget tablecloths and napkins, refined and detailed menus, shiny cutlery and long presentations by the dining room staff. In the street you eat with your hands, you get dirty, the proximity to those who prepare is often a few tens of centimetres and the food selection points to strong recipes of a region or a part of it. Certainly, there are food festivals, grand events, and occasions to taste dishes from different backgrounds - but the advice is, where possible, to try street food in its best form, in its country of origin, perhaps while on holiday. Flavours, aromas and the preparation will give it a different taste that will leave an impression on you. 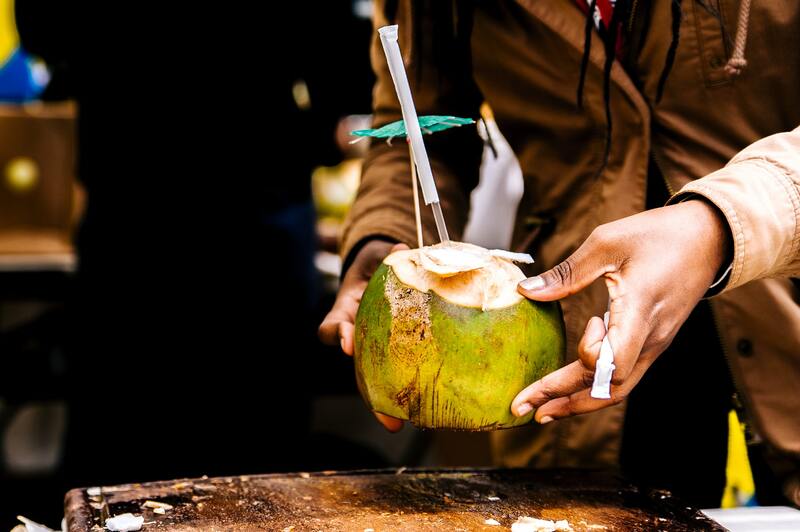 Despite the recent trend, street food actually has ancient and widespread origins. History buffs will certainly find interesting material reading the texts of the Greek and Roman authors (incidentally, pizza, street food par excellence, is nothing more than the evolution of a simple flat bread or focaccia that took the shape we know only after the advent of and diffusion of tomato), to all the others it will suffice to remember that among the poorest, the absence of a kitchen and the narrow size of early dwellings often made it impossible to cook at home, therefore it was easier and even necessary to buy economical prepared food. Melbourne in this sense has much to teach us on the matter, with its Queen Victoria Market offering food carts and street vendors since 1860 - populating then and still today one of the largest areas of fast food service in the Southern Hemisphere. Worldwide consumption of food on the street generally makes it possible to eat more informally, more quickly, and more economically than eating food in a restaurant or other place for that purpose; for this reason, this form of food is often preferred compared to more formal methods of consumption, so as to make it occupy an important place in human nutrition: FAO estimates that 2.5 billion people are fed in this way a day. 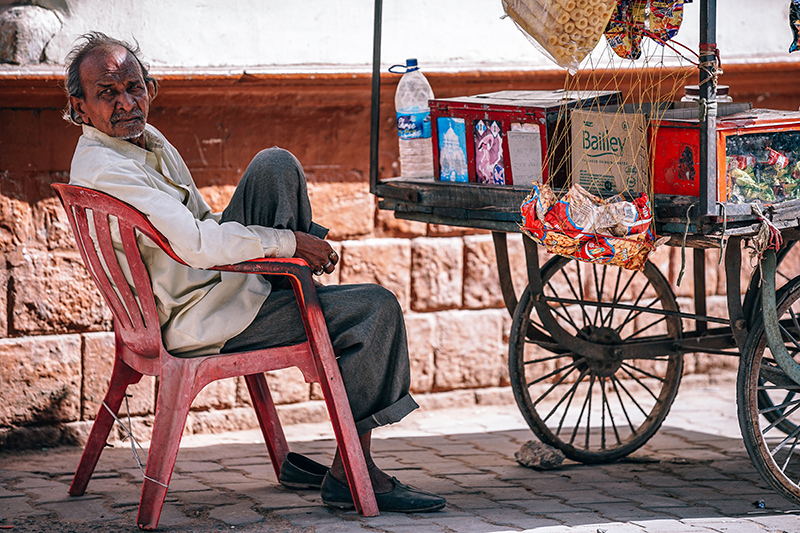 Street food is part of the wider informal food sector, a sector which, in developing countries, represents one of the strategies adopted to provide for food needs. Some street foods fall into the category of finger food and fast food. In other cases, street food consumption is aimed at foods that, due to their low food and cultural value, are classified in the junk food category. 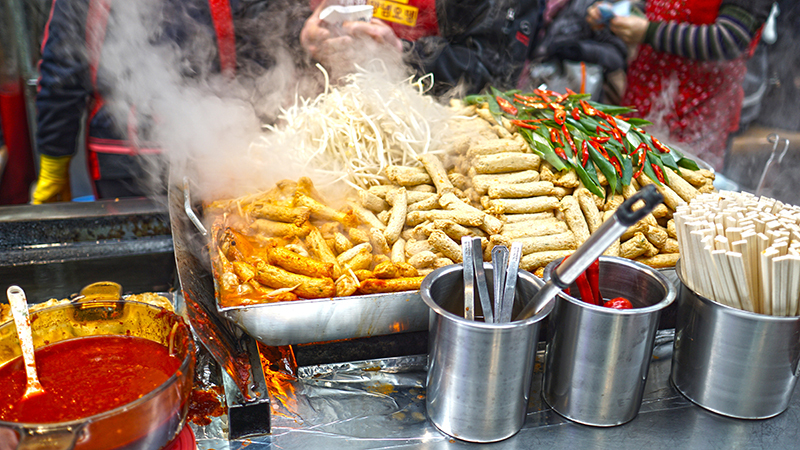 Street food is closely linked to the phenomenon of takeaway food, and to other informal food consumption phenomena, such as snacks, fast food, and packed lunches. The best way to taste street food is therefore to taste it in its infinite variations around the world: to have the courage to get away from the familiar and western tastes to experience (or at least observe!) decidedly unconventional dishes, such as: crocodile and kangaroo (Australia), roasted guinea pig (Peru and Argentina), grasshoppers, tarantulas and crickets, offered on skewers on display in carts (Burma, China, Vietnam, Cambodia), sweet pancakes dipped in caramelised sugar (India), small buns stuffed with vegetables, meat, rice and spices and deep fried (from South America to the Far East: the principle is the same, though the names change), bundles stuffed with steamed meat and vegetables, pork rind fried and sold as a snack on the run ... The list goes on and on and the variants have not only a national dimension, but also regional and urban ones. Raw materials and knowledge, ingredients and experience, in addition to an almost hereditary dexterity are what makes the long list of street food worthy of being tasted and worthily compete with the finest kitchens. The keys here are curiosity, the absence of prejudice and cultural openness, which bring those who eat and those who cook (and chefs of all levels, even the stars, have well understood the lesson) to want to know and not stop at familiar flavors.